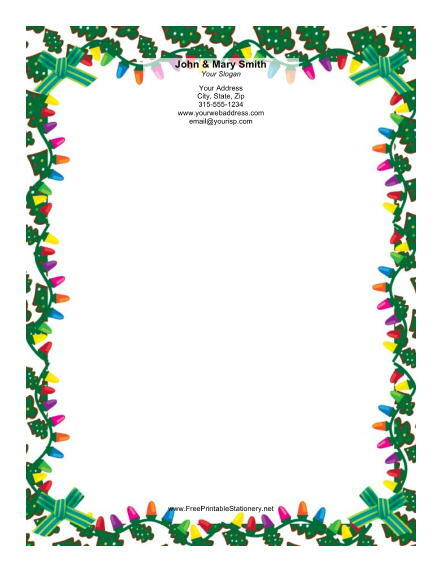 This Christmas stationery design features a border of colorful Christmas lights and green bows. A background of Christmas trees adds a special festive touch to the holiday border. This Christmas paper is exactly what you need for keeping up with all the people you know around the holidays.